Successive Barbados Governments have failed to implement breathalizer laws that would target the growing slaughter on our roads. We lose more people to drunk driving than we do to murder, but when it came to protecting us from drunken drivers, the idiots of the Owen Arthur – Mia Mottley BLP Government never went further than talking about “maybe, if, someday”. At least with the BLP Government, we knew that our drooling, word-slurring Prime Minister never implemented anti-drunk driving laws because he didn’t want to get nicked himself! After almost seven months in office, the Thompson DLP Government has done nothing to address the serious problem that our country lacks enforceable, modern drunk-driving laws. 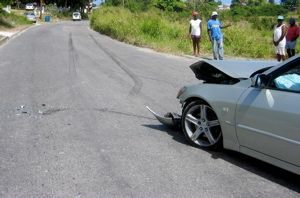 Barbados Free Press has been calling for breathaliser laws and equipment for the police for two and a half years now. In those two and a half years we have seen some horrible accidents and even mass accidents – but our law enforcement officers have no way of testing to see how much those drivers had been drinking. Prime Minister Thompson… time to act, Sir. If your government can’t implement breathalizer laws during the first year of your term, that will pretty well say everything about your priorities and leadership.